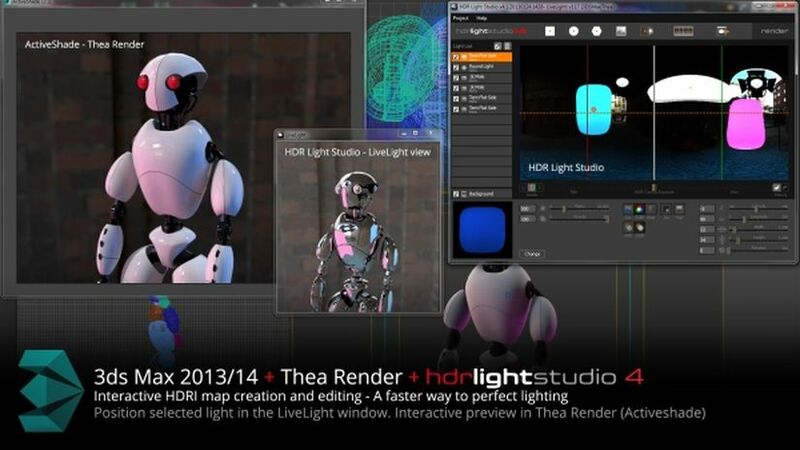 Lightmap announces a new update to the HDR Light Studio Live plugin for 3dsMax. The 3ds Max Live plugin now supports 3dsMax / 3dsMax Design versions 2013 and 2014 with MentalRay, iRay, V-Ray, Maxwell Render, Octane Render and Thea Render providing interactive feedback using the ActiveShade rendered view, where you see the effect of your HDRI map lighting your final shot. Make a change in HDR Light Studio and see the result in your ActiveShade view in an instant. It’s a great new way to quickly light your shots.